Nose: Caramel, vanilla and bourbon spice arrive first followed by an undercurrent of cherry heavy dark fruit. Smoke, malt, dill, a light oak and smoked meat come sliding through next along with a complex host of delicate notes and hints. To me this is one of the most exciting aromas in whiskeydom because it marries all of my favorite whiskey aromas into a single glass. Palate: Caramel arrives seconds before the peat and is quickly followed by vanilla, malt and a complex spice. Citrus, pepper, some leather, faint dark fruit and a bit of brine work together to create a churning surge of flavor. 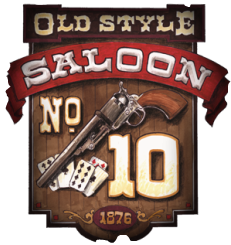 The taste of this is simply incredible with notes of scotch, rye and bourbon coming and going in rapid succession with each sip. 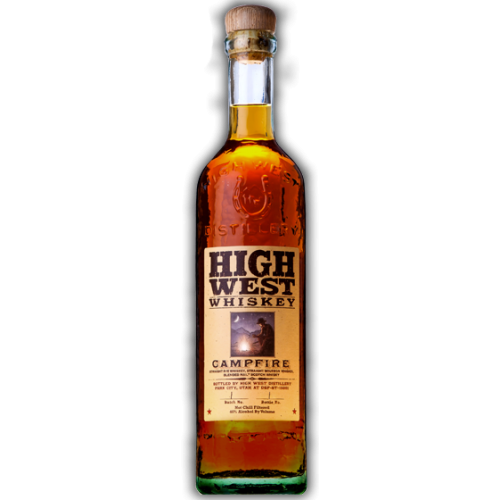 Notes: With the release of Campfire the lads at High West prove that they’re not just a two trick bourbon and rye blending pony. No sir they have grabbed Scotland by it’s peat and added it to the mixing party. It’s fantastically delicious, but I really have to wonder how David Perkins came up with the idea and why he thought it would work in the first place. Was it a dare? Was it a mistake? Was David Perkins just sitting around one day with a bottle of Son of Bourye and a bottle of Laphroaig and decided to see what would happen? Well according to the High West site David and his wife were staying at the Bruichladdich distillery B&B where they had a dessert made from a ripe honeydew melon drizzled with a peated syrup. This combination of sweet and peat lead David to the idea of blending some smoky scotch with some sweet bourbon, and apparently some spicy rye, which gave us the Campfire we now know and love. Overall I freaking love this whiskey. I love bourbon. I love rye. I love big peaty Islay whiskies and now I know that I love all three harmoniously blended together. It’s a complex configuration of sweet, spice and smoke that constantly takes me by surprise and it seems like I discover some new aspect of the whiskey every time I pour a dram. Well done Perkins and co… well done.